We woke up at 6 a.m. moderately enthusiastic (I sincerely hate early wake up calls, especially on vacation, but I gave in to Louveteau’s catching encouragement). We started the day right where we ended the previous one, in the pool. Now we could see the sun coming up and kissing the sky, the trees, and the water around us. We took our (first) breakfast and run down the familiar sightseeing path. The park opens to the general public at 8.30 am, and before that the waterfalls, the wooden pathways and the panoramic bridge belong only to the hotel residents (and to the coati, of course). What we saw is beyond any reasonable words (and you can come with all kind of sounds and syllables on your own – you will come up with all of them, in fact). I usually group my sneak pics in galleries to make them easier to browse through but those are the best landscapes I have pictured (and ever seen), so I just have to post them one by one. And you see why, don’t you? 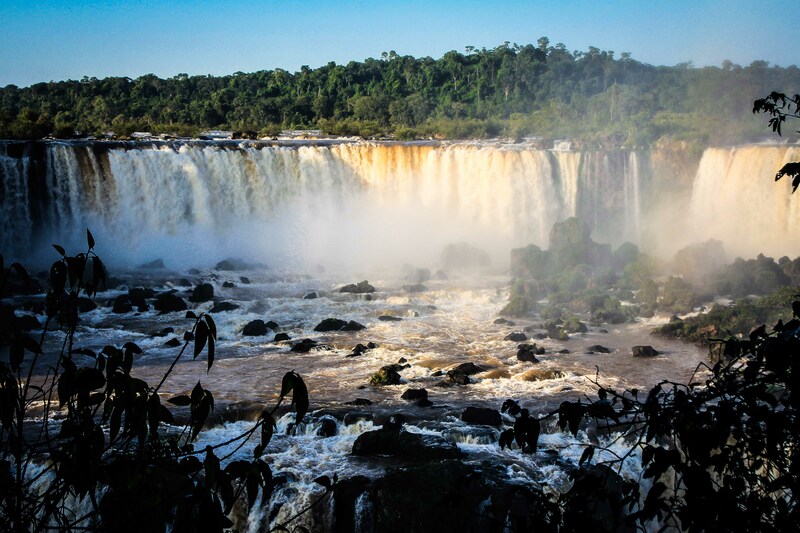 And all of THIS, believe it or not, is just half a day at Iguazu. Mind-blowing, isnt’t it? Right after all this delight, we took our second breakfast and set off to explore the Argentinian side.